Fry a Turkey and have a Clam Bake! Click the image above for tips! 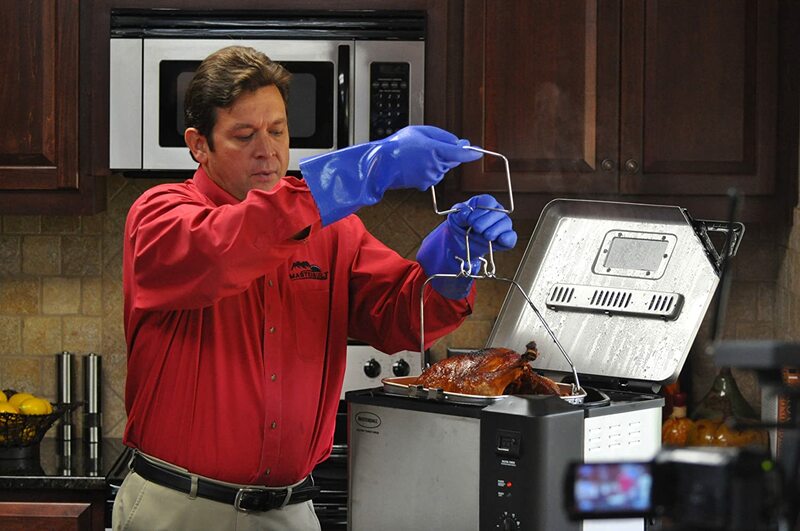 Now there are indoor Turkey fryers, and they are multipurpose! You can steam foods as well as fry! Fry up to a 20lb Turkey or Boil Seafood and Steam Vegetables! Can you say CLAM BAKE?? Now you can get more than one day of use out of your Turkey Fryer! Set up a well-oiled cocktail station. Leave a fresh batch of drinks on ice with plenty of shatterproof glasses and bandanas for cleaning spills. And make sure there are lemons, limes and extra hot sauce for guests to add their own finishing touches. If you’ve got flowers, flaunt them. Pluck a few from your lawn, then toss into mugs or glasses (choose some sturdy enough to hold up to a strong breeze). Stagger them down the table in a sweetly imperfect pattern. While dinner cooks, let the games begin. Pull out bikes and skateboards, sporting equipment, or toys like hula hoops and Frisbees from the garage, and let the kids and adults play together. 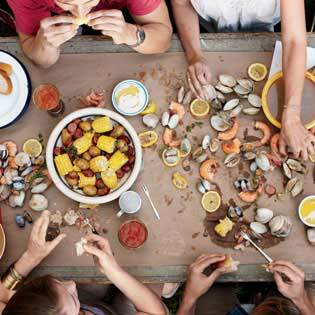 Turkey Fry and a Clam Bake = Instant party! ← MAC N CHEESE IN A MUG!